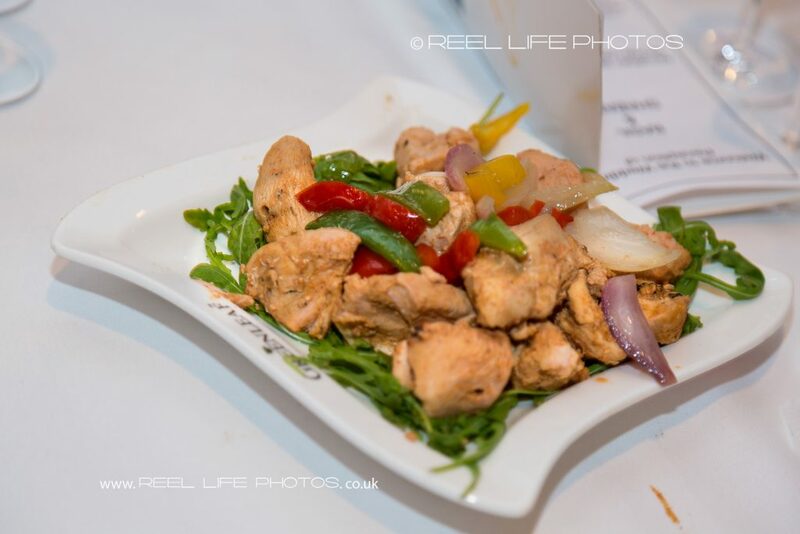 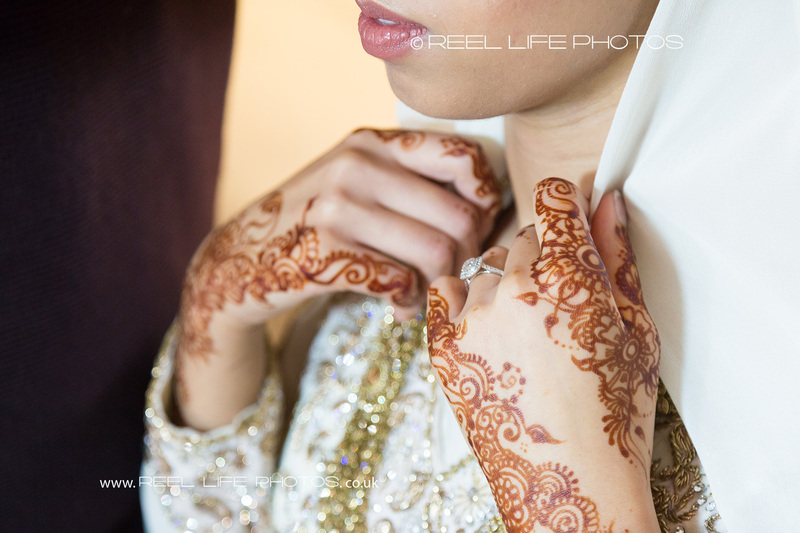 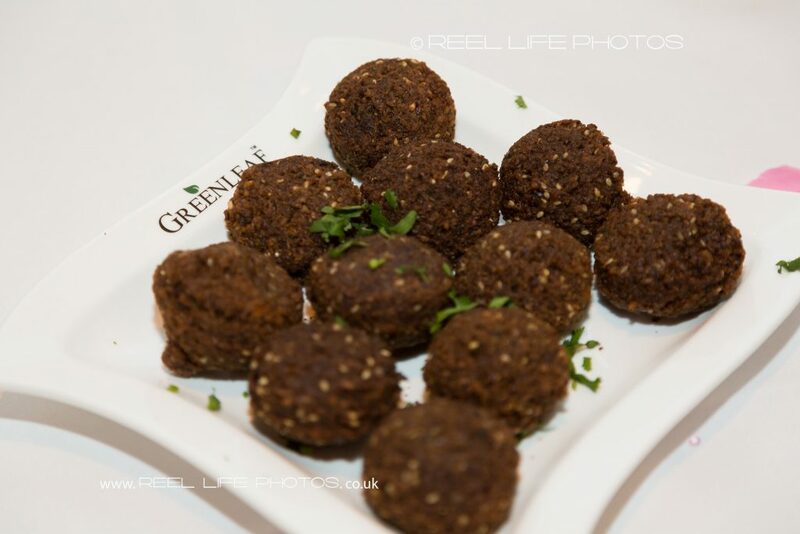 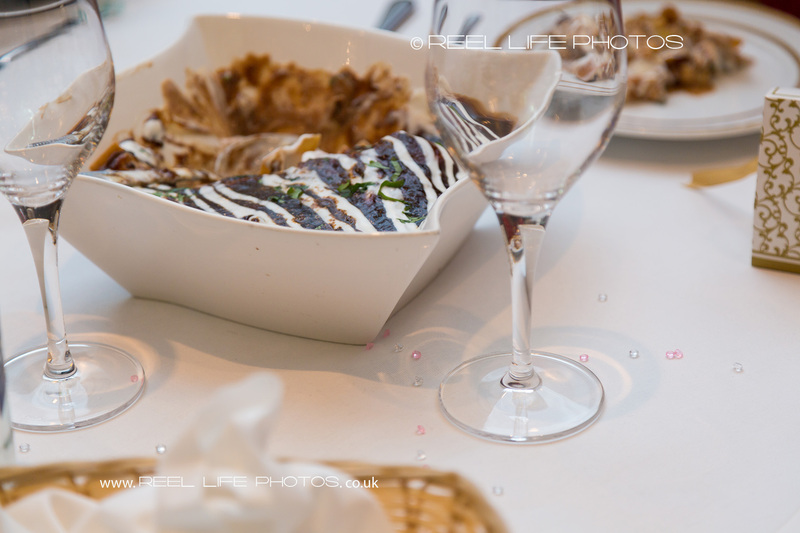 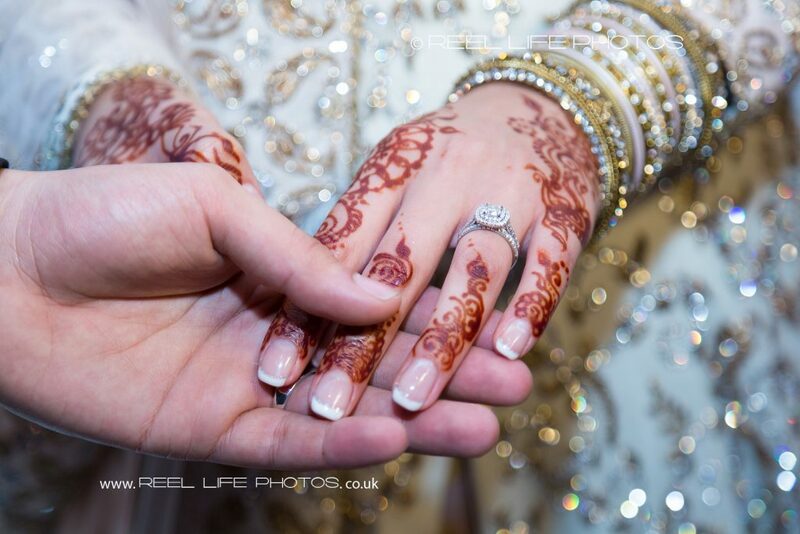 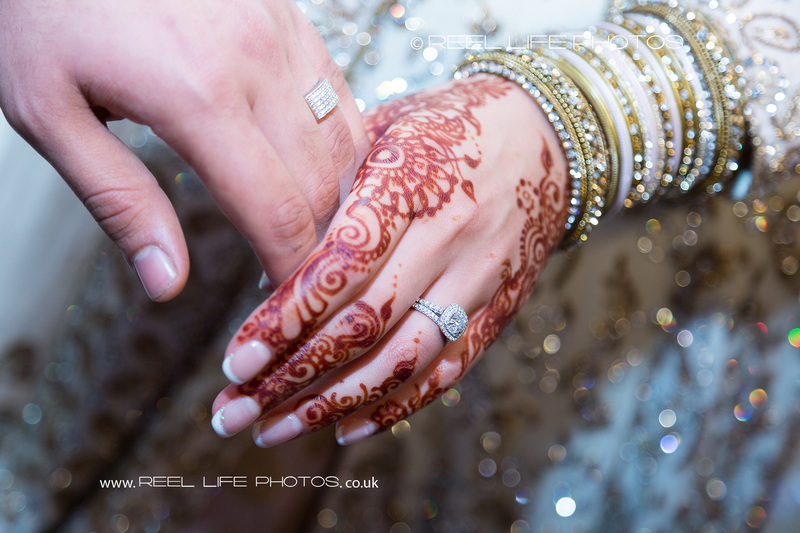 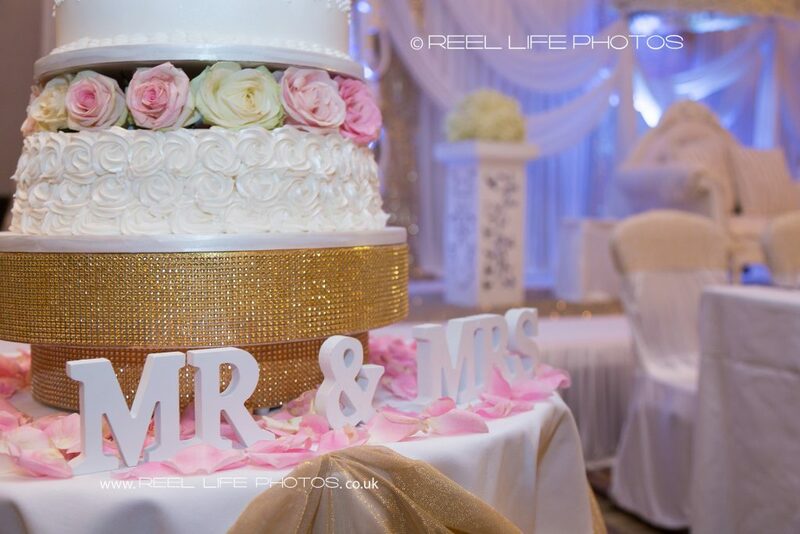 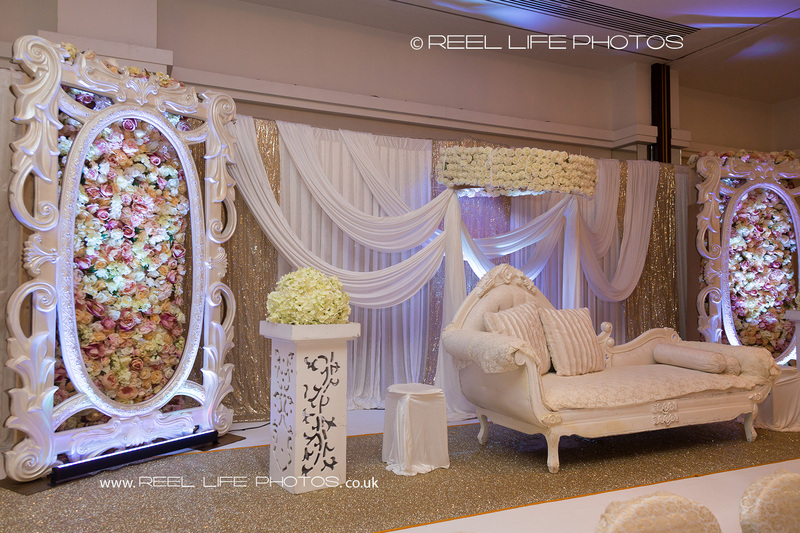 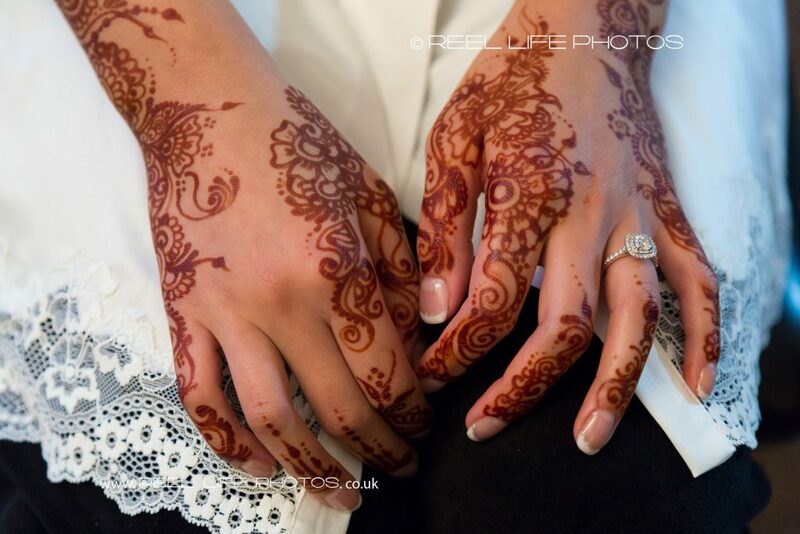 Even though Reel Life Photos is based in West Yorkhire, we travel a lot for exciting , unusual, or multicultural weddings not only up and down the UK but also abroad. 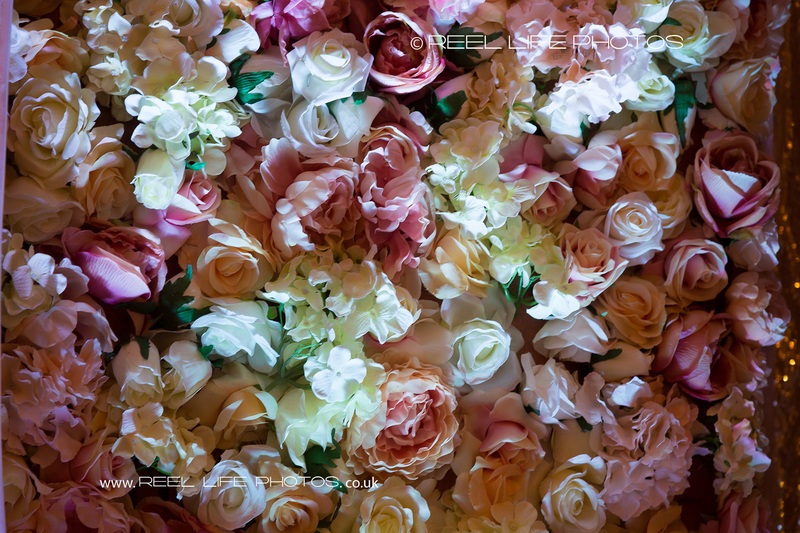 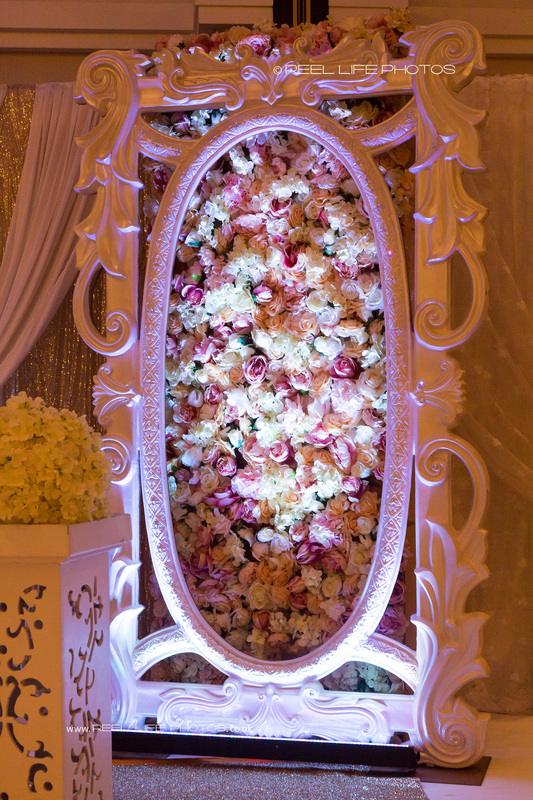 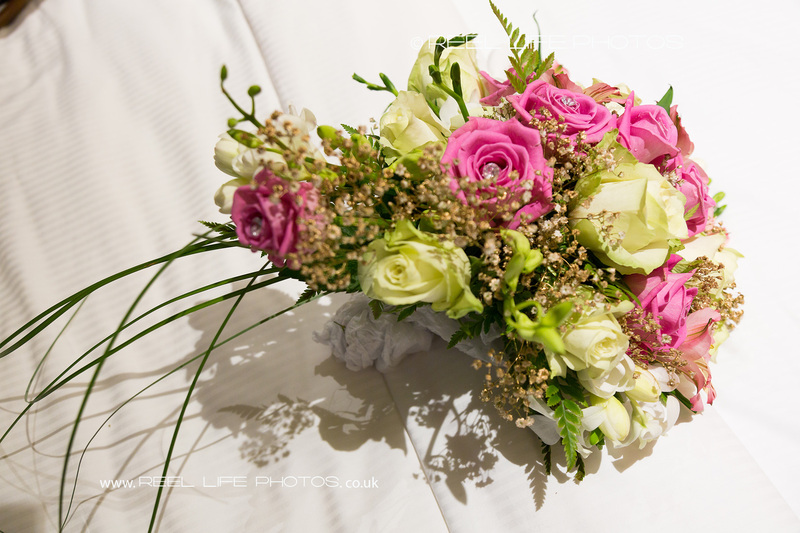 The bride’s bouquet with cream and pinks roses, lying on the bed as she gets ready at Hilton Hotel London Metropole. 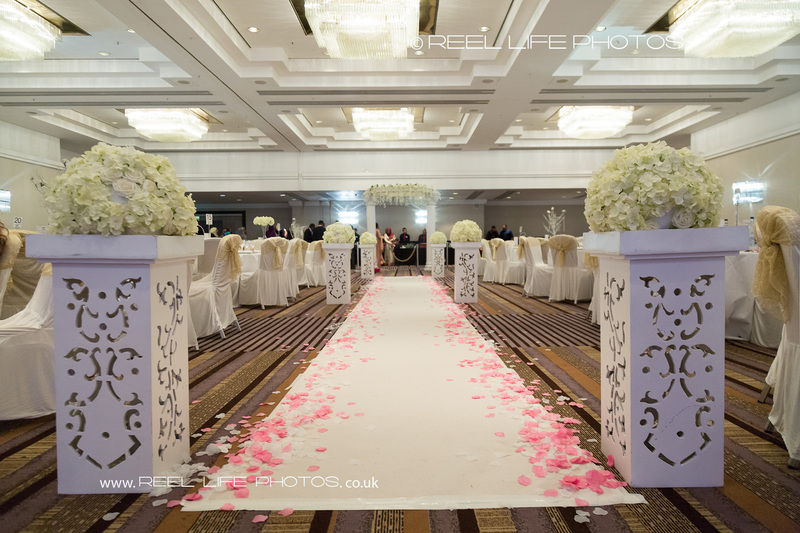 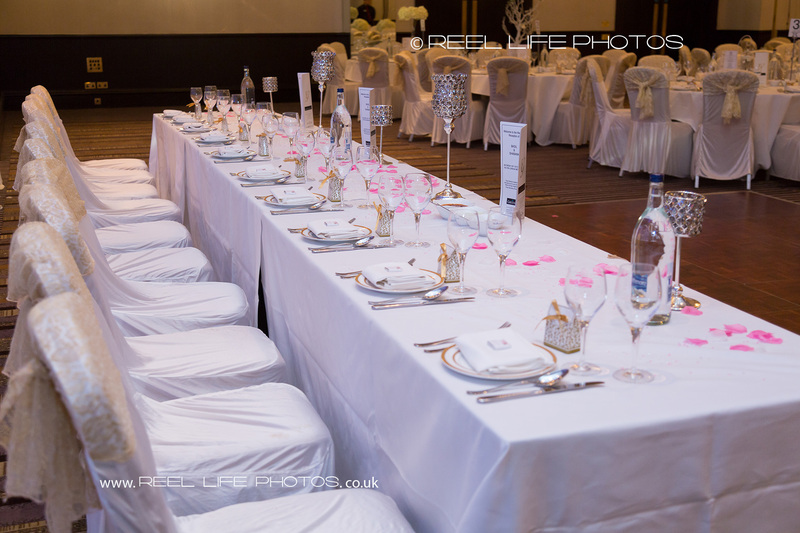 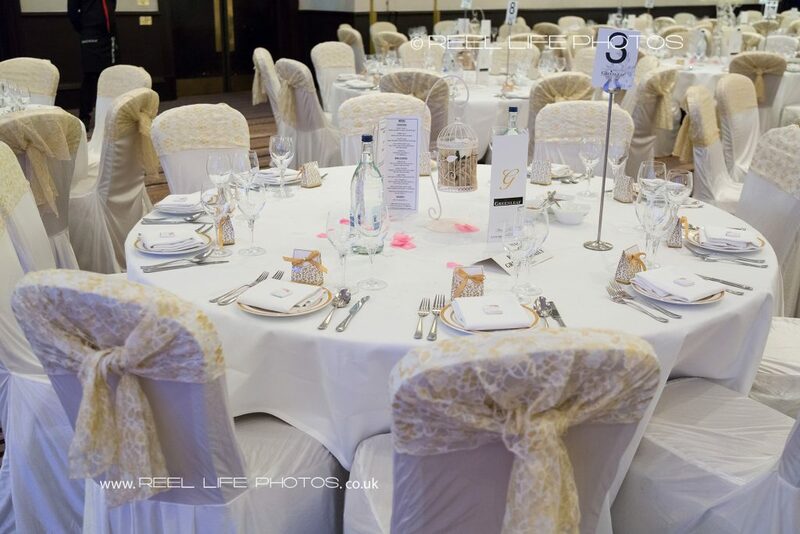 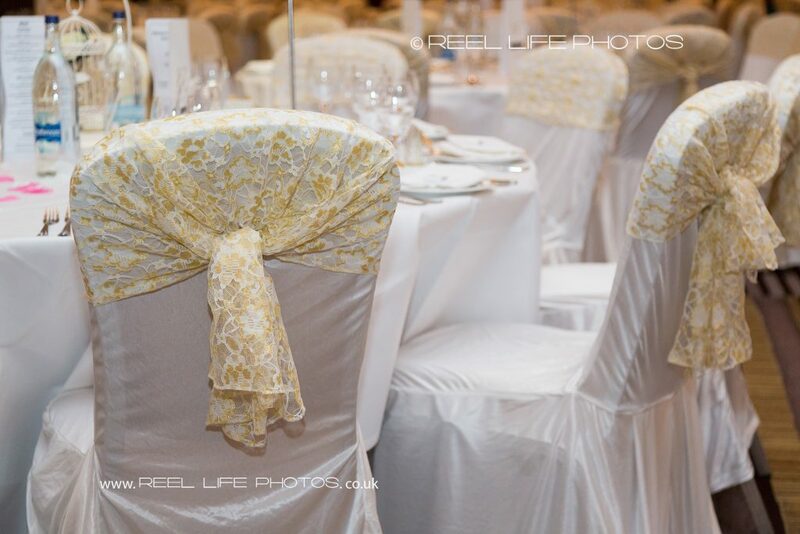 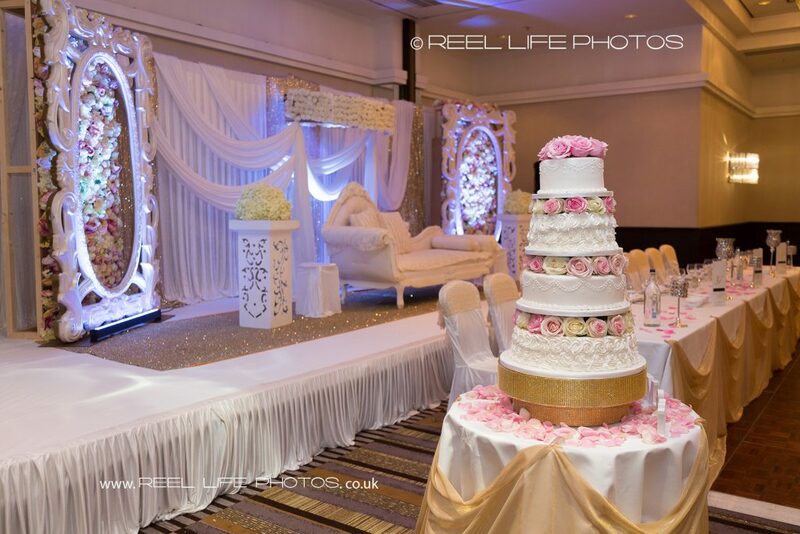 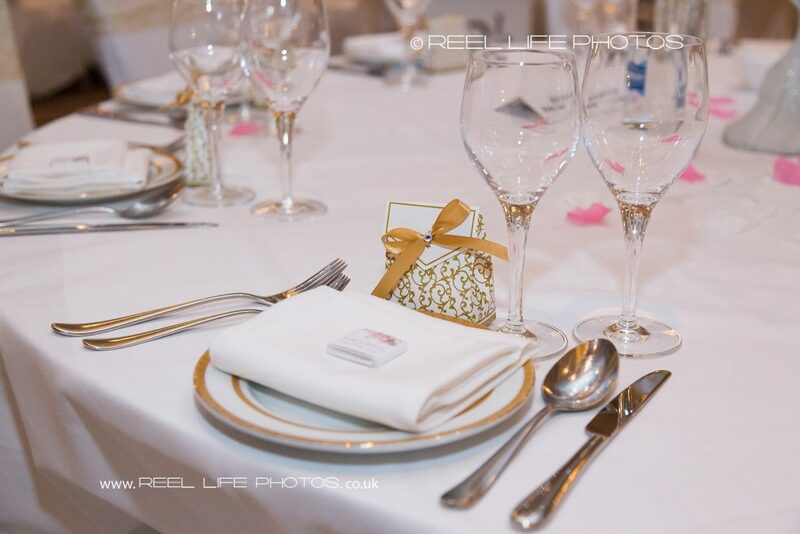 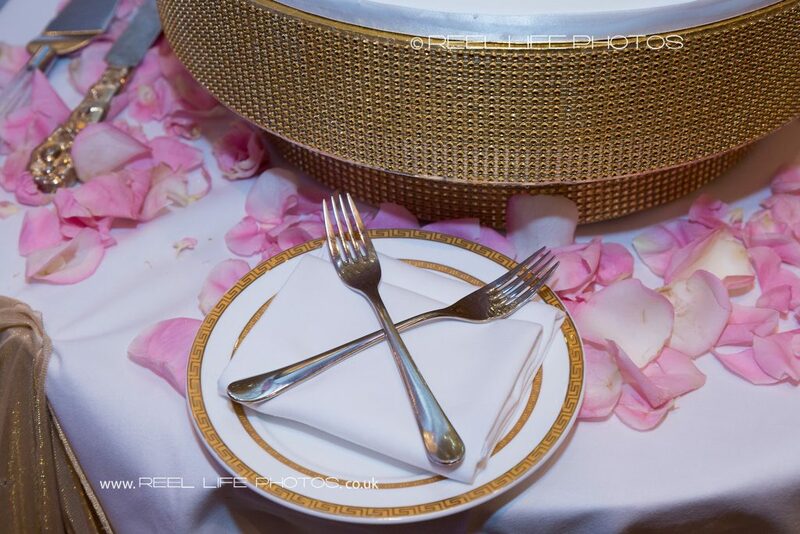 Wedding in London with beautifully presented tables and chairs with elegant sashes.